Not only does the Yu-Gi-Oh! 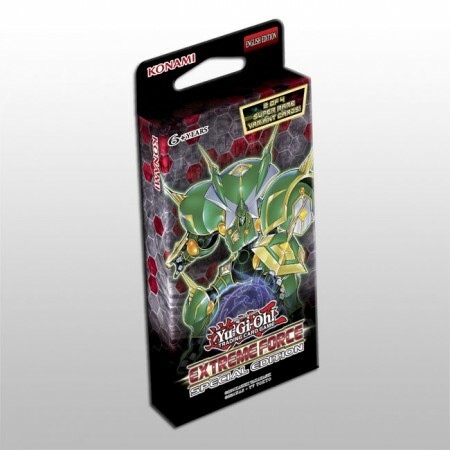 TRADING CARD GAME Extreme Force Special Edition include three packs of Yu-Gi-Oh! 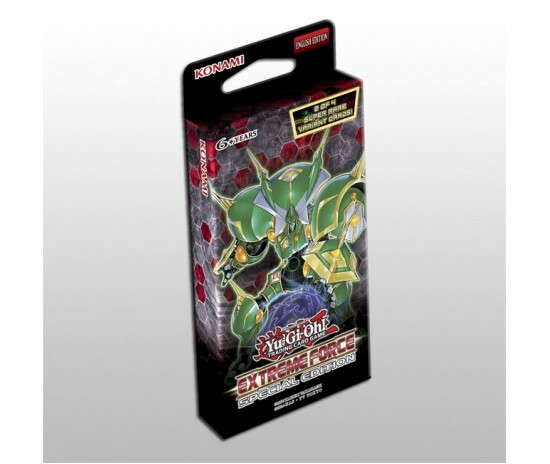 TRADING CARD GAME Extreme Force, but also 1 of 2 Super Rare variants of sought after tournament level cards as well as 1 of 2 Super Rare preview cards from the Spring 2018 booster set! Yu-Gi-Oh! TRADING CARD GAME Extreme Force features a number of powerful cards that Duelists can add to any Deck, as well as brand new strategies and individual cards to bolster old favourites, like Noble Knights. Inspired by Mythical Beast Cerberus, a favourite of Duelists in real life and in Yu-Gi-Oh! Duel Links, brand new mythical beasts emerge from the mists of time! Just like the original Mythical Beast Cerberus, these monsters gain Spell Counters when Spells are played that you can use to fuel their incredible monster effects, but that’s not all! This time, each Mythical Beast is a Pendulum Monster with its own Pendulum effect, so your cards are monsters when you need to Summon and Spells when you don’t!